Nature and the animal kingdom have always been Andrea Contri’s passion. Since he was a child, he has sought direct contact with animals, thanks to the feelings passed on to him by his farming uncles, whose cows, donkeys and chickens were his weekend companions. His communicating with animals began in 2009 in South Africa during a period of time as a volunteer with the white lions, where he learned the rudiments from the shaman Linda Turker. 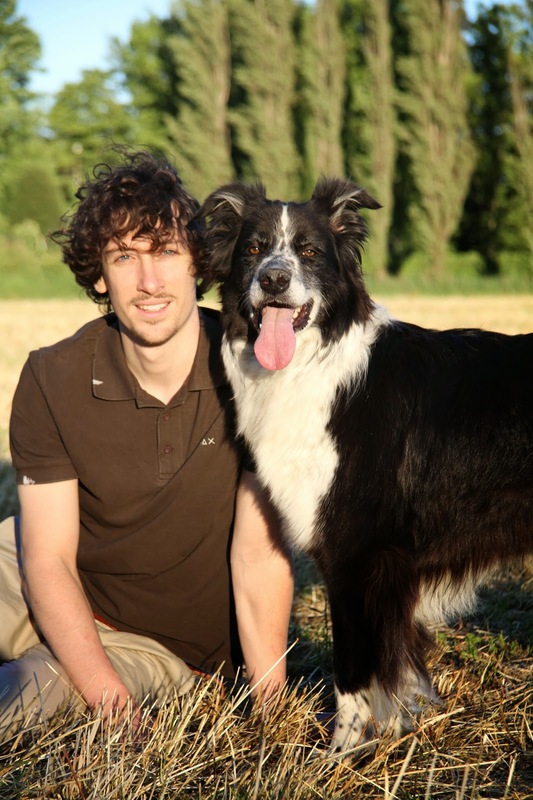 Andrea’s passion grew as he attended a course on communicating with animals in England in 2010, where he met Wynter Worsthorne, teacher and author of publications on animal communication, from Capetown, S. Africa. Andrea from the outset confirmed his potential through practical exercises where he was able to accurately describe the physical sensations of the animals studied. In the next years Andrea continued regularly to practice with different animals in South Africa: whales, lions, baboons, penguins, feral horses and white lions. Upon his return to Italy Andrea helped people and their animals to understand each other in depth, thanks to intuitive communication. He has helped peolple amd private structures with his counseling for both domestic and wild animals. He worked together with the Jane Goodall Institute South Africa and the Global White Lion Protection Trust. From 2013 he collaborate with the magazine "Amici di Paco", "Cerco Cuccia Disperatamente"where he publish articles regarding Animal Talk and how to improve our relationship with animals. He was on several radio show such as: Radio 24, Radio Laghi and Radio Noi Musica. Introduction to Animal Communication, Worthing, UK (2010) with Wynter Worsthorne. Lion Talk, Drakenstein Lion Park, Paarl, Weten Cape, SA (2011) with Wynter Worsthorne. Penguins Talk, Simon's Town, SA (2011) with Wynter Worsthorne. Whales Talk,Hermanus, SA (2011) with Wynter Worsthorne. Animal Communication Intensive course, Sacred Star Lion Journey,Tsau!Conservacy, Mpulanga, SA (2011) with Wynter Worsthorne. Advance Animal Comunication Workshop, Costantia (Cape Town), SA (2013) with Wynter Worsthorne e Anna Breytenbach. 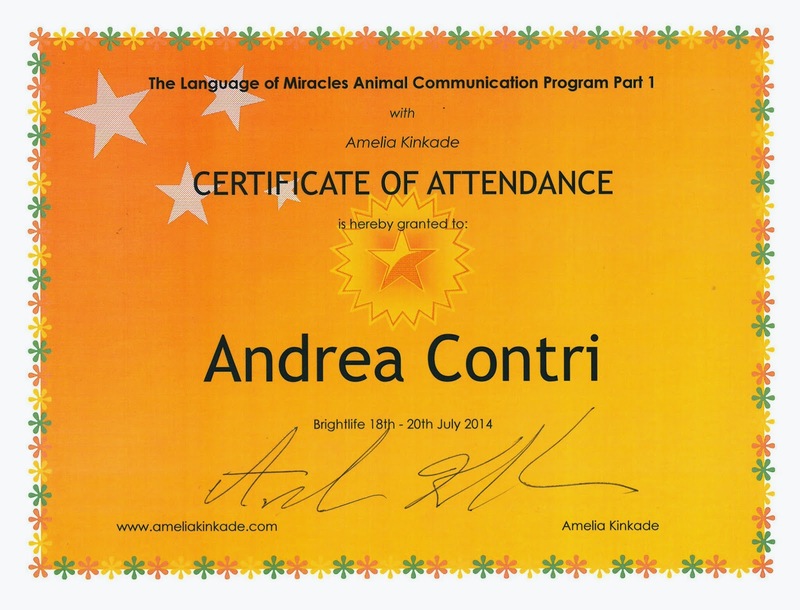 Course - Impara a parlare con gli animali - Milano, IT (2014) with Amelia Kinkade. The Language of Miracles Animal Communication Program Level I, Isle of Man, (2014) with Amelia Kinkade. 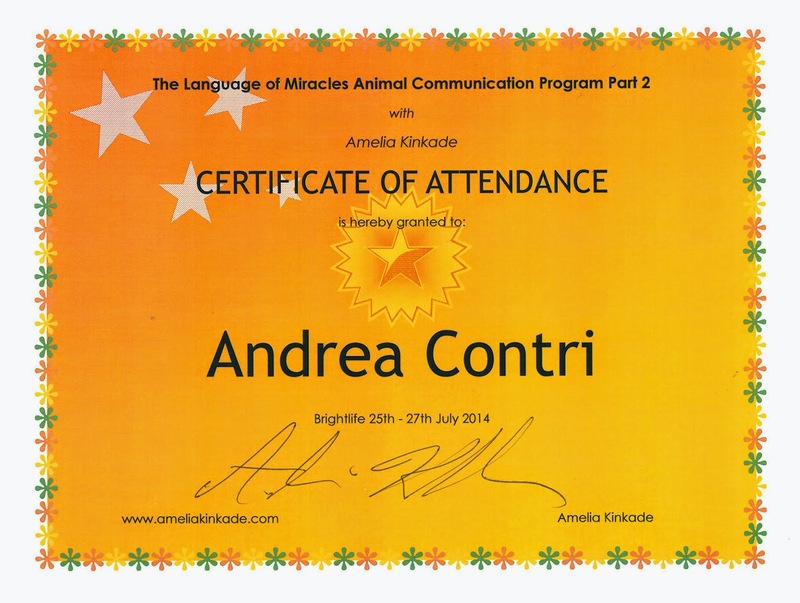 The Language of Miracles Animal Communication Program Level II, Isola di Man, (2014) with Amelia Kinkade. Course "The Language of Miracles Animal Communication Program Level I"
Course "The Language of Miracles Animal Communication Program Level II"